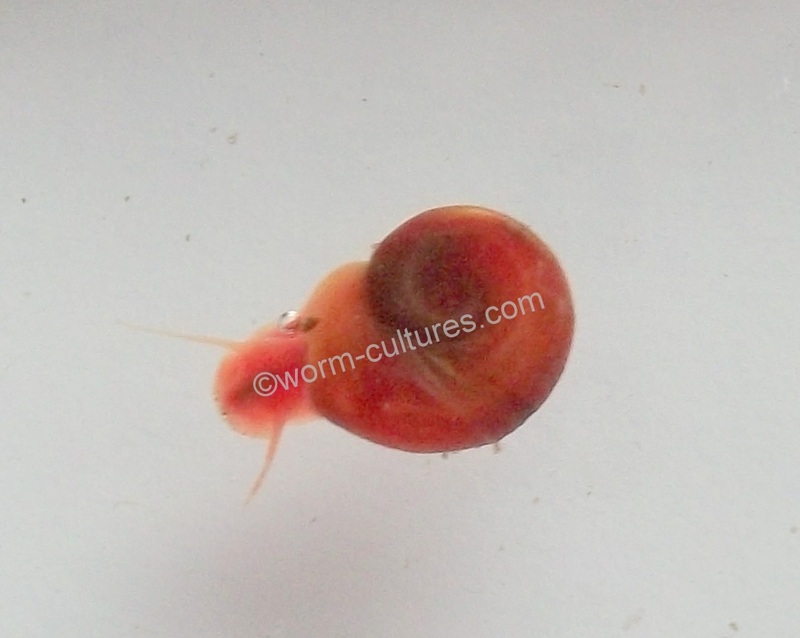 Here I have some Red Ramshorn snails. 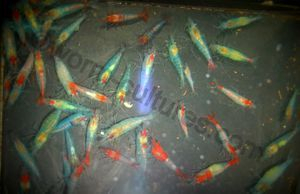 They are a stunning red colour, and have been bred in my own tanks. They can either be ornamental as well as a clean-up crew, or, you could use them for live food. You will receive young and sub-adult sized snails. They can grow to approximately 2cm in size. 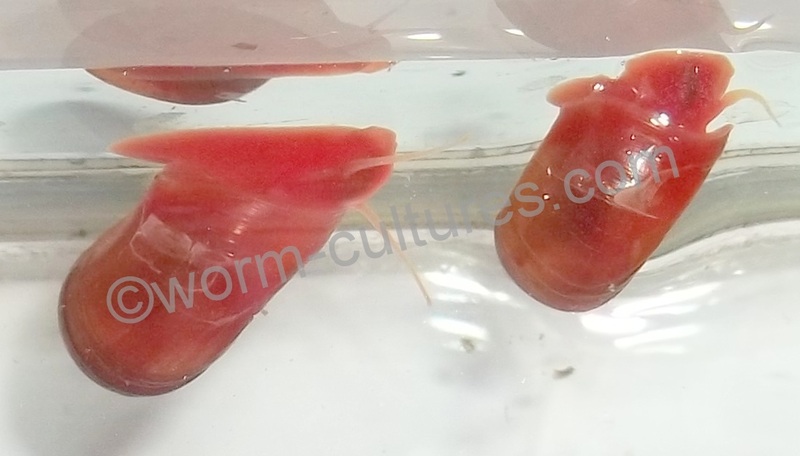 They are bred in a number of different tanks, with fish that don't predate on them, and I would recommend that you research whether the fish you keep will eat them before you purchase. Unless of course you are buying them as live food. 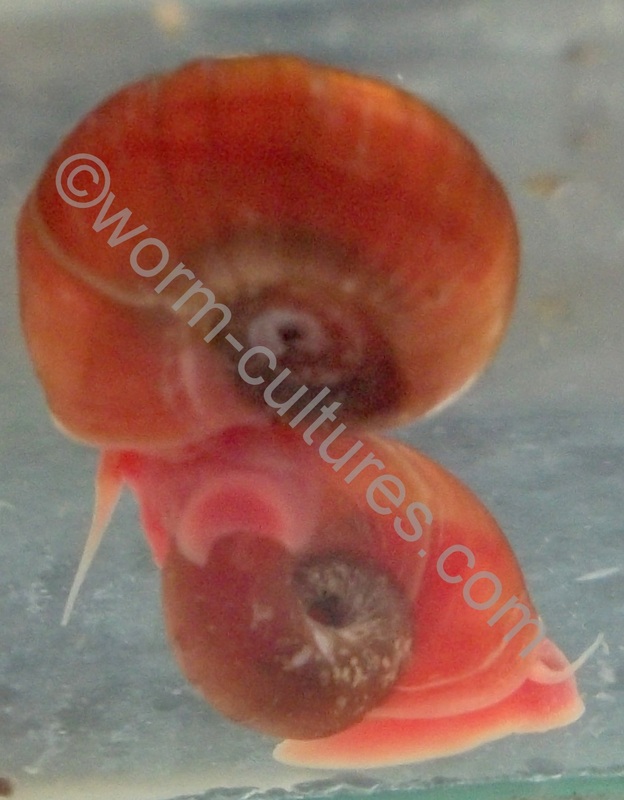 When the snails arrive, please acclimatise them slowly, and don't worry if they show little movement initially. This is quite normal, and they will soon be on the move once acclimatised. I will post them to you first class, Monday to Friday only. The snails will be posted in a double sealed bag.